AlipayHK has launched a rebranding TVC to encourage people to take a step further to make the world a better place. Titled “Small is beautiful”, the TVC aims to encourage people to use less straws and go for more environmentally friendly choices. AlipayHK also is collaborating with Mindshare Content+ who has created an activation to make sustainable options accessible to Hong Kong people. 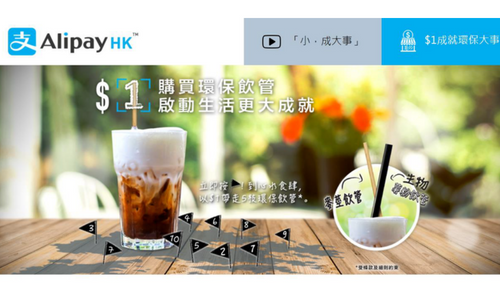 These two company has partnered with 10 environmental-cautious local F&B businesses, where users can pay HKD$1 via AlipayHK for a pack of five biodegradable straws. The straws were made from potato starch and grain and won’t cause any damage to the environment upon disposal. AlipayHK will match with 50 straws and donate to these F&B partners for every HKD$1 donated, so more people can enjoy chilling drinks in a more sustainable manner, and create public awareness of making a difference with a small step to the environmental issue. AlipayHK set a goal of 100,000 pieces of straws. “We want to make it easy for the public to join us in this movement, of being open-minded to environmental friendly alternative in their daily life. 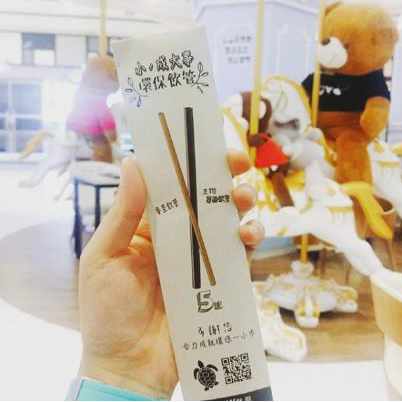 The straw is the easiest, most accessible symbol of commitment towards small changes for bigger differences.” said Raymond Leung, deputy leader of Mindshare. Meanwhile, Mindshare’s Content+ also released stories of three Hong Kong locals, that each of them live an ordinary life but with wild ambition. The move will see all 15 agencies in the network rebranded to include RYVL alongside their respective names. ..
With big brands like L'Oreal being on board, what does this mean for the Muslim market?..